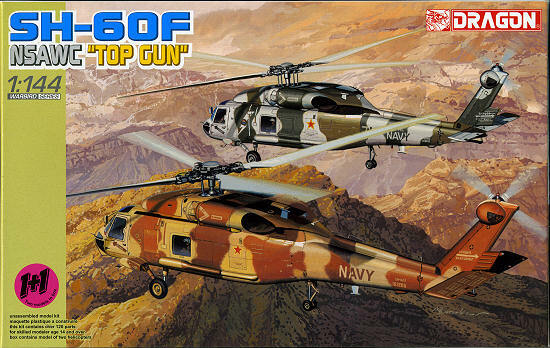 This is one of Dragon's double kits that includes two SH-60F Seahawks. Actually, there is a lot more in the kit besides two Seahawks as the way Dragon and others do their kits nowadays, you get much of what is needed to do a pair of Blackhawks as well. 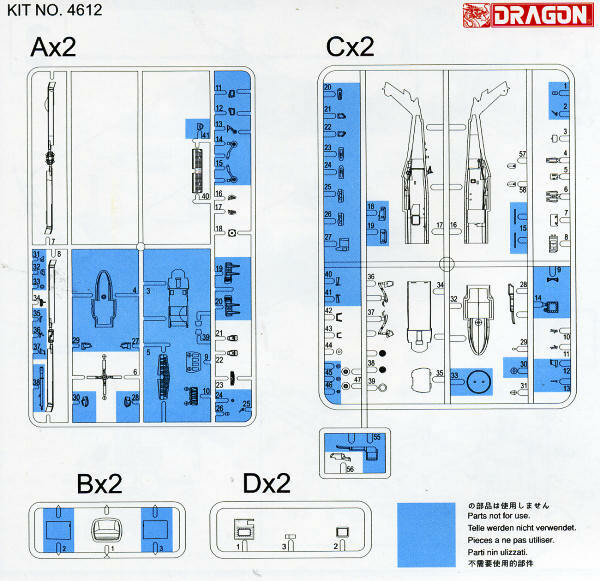 Of course, this is to use extant sprues to provide parts and in this case it is rotor blades and horizontal stab that are pulled from the second set of fuselage sprues. In line with other 1/144 kits from Dragon, the detailing is very well done. It may appear to be somewhat exaggerated for the scale, but once painted it does look quite nice. The entire nose section is clear plastic. This allows for hassle free clear bit installation, somewhat easier masking and the ability to fair in this part without too much w orry about goofing up the clear bits. Instructions are quite nicely done with Gunze and Model Master paint references. Both subjects are camouflaged versions with NSAWC/Top Gun based at Fallon, Nevada. The first one is painted in a grey and green camouflage scheme and carries the lightning bolt motif seen on some NSAWC aircraft.. In desert browns is the other aircraft and like the first has a small red star on the fuselage. Neither has US insignia. 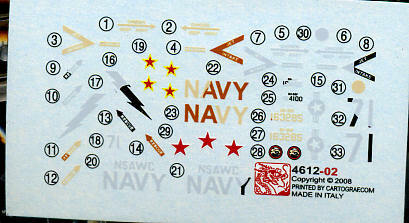 The small decal sheet (shown a twice life size) is well done and has several markings in two shades where the camo demarcation line would go. This means that great care has to be taken when painting these to be sure everything matches up.